Updated July 2015: Below we provide an overview of the basic components that are used to build a solar PV system and offer some ideas for component choices that could be used to customise a solar PV system design. Factors such as location, the power requirement, the characteristics of the mounting area and aesthetic preferences all play a role in determining which will be the correct components to select and install. Solar PV Panels and solar modules: are employed to capture the sun's energy and supply DC power to the system. Solar panels and modules are connected together into PV strings to form a solar PV array. 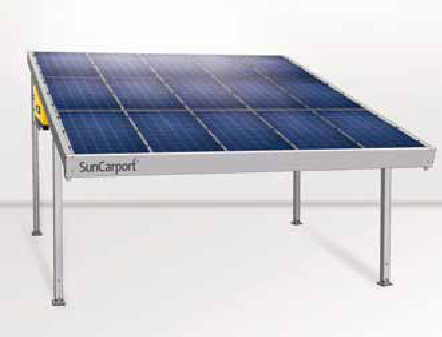 A typical commercial solar panel measures between 1600mm -1800mm in length x 800mm - 1200mm wide with a power rating of between 200W-250W per panel. However, solar PV panels can come in a wide range of shapes, sizes and power outputs to suit specific applications and designs. Solar PV panels can usually be mounted horizontally or vertically to best fit the mounting space. 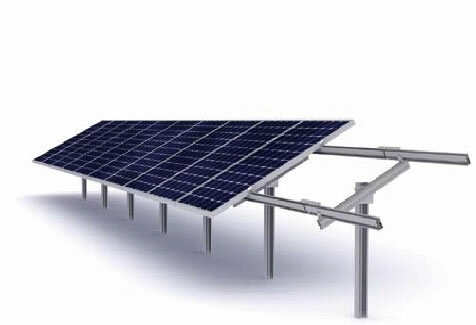 Solar PV panels can be provided either with frames for securing onto supports (such as on-roof and ground mounts), or supplied without frames for integration into roofs and other structures such as solar walls and building facades. We talk in a bit more detail about solar PV panel selection here: Evaluating Solar PV Panels and Modules. Solar PV Inverters: convert the DC electricity provided by the solar PV panels into AC electricity for use in the building and for export to the national grid. Inverters are specified to maximise the PV output from the array whilst minimising power losses. Solar power inverters are sized and chosen taking account the power capability of each solar panel, the operating temperatures and the number of solar panels in each string (voltages). Different solar PV systems with different electrical and physical characteristics often justify different approaches to the type and choice of inverters that are used. A modular design may employ many small inverters (known as micro-inverters) whilst one or two central inverters could also be chosen based on which setup achieves the optimum power output. 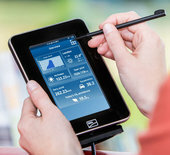 Most inverters will come with a basic form of system monitoring and a built in DC safety disconnect. In the UK look for G83/G59 certification which means the inverter has been tested to be compatible with the national grid. Inverters can also be supplied suitable for single (mostly residential), two or three phase power systems. On Roof Solar PV Panel Mounting: is likely to be one of the more cost effective options when retrofitting a solar PV system. Most standard solar PV panels are supplied with aluminium frames which are designed to be securely attached to prefabricated rails. These rails are then used to secure the whole solar assembly to the roof. Considerations: Added weight on the roof, size of the roof (how many panels/how much power), shading. 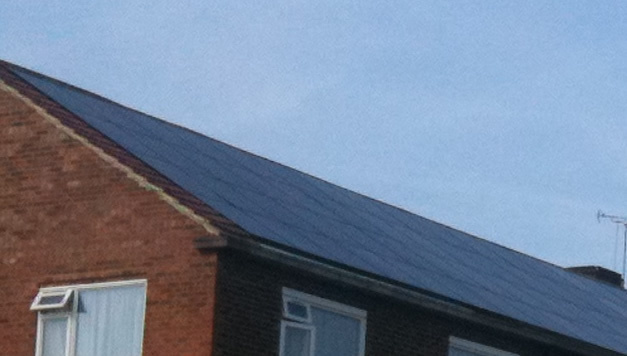 In-Roof Solar PV Panel Mounting: systems offers a flush finish where aesthetics are important. There is a large choice of systems that can be used to integrate with most types of roof. In-roof mounting can be cost effective when needing to re-roof and for new builds as slates, tiles etc won't be needed in the spaces covered by the solar panels. Considerations: As above but additional roof work and materials can make a system more expensive. Suitable flashings should be used to ensure waterproofing. Adequate ventilation should be provided as solar PV panels and cables should be kept cool to perform at their best. Ground Mounting Solar PV Panels: is a cost effective solution when outside space is available. Commercially available in many types, materials and styles there is a ground mount to suit every location, we can also fabricate and install bespoke mounts. Considerations: Outside space, shading, cable lengths and trenches for burying cables. Shorter lengths of cable will incur fewer power losses. Canopy, Carport & Awning Mounting systems for Solar PV Panels: achieve the benefits of creating additional mounting space when working with a property with limited roofspace, extending a buildings footprint and increasing the outside living space. Canopy frames can be supplied in all shapes and sizes. Non standard size solar panels and modules can also be supplied. Flat Roof Solar PV Panel mounting systems: Can offer a low cost, quick to install and flexible option for mounting solar panels onto flat residential and commercial roofspaces. Available in a wide range of styles from plastic tubs through to ruggedised racking systems to suit each roofspace and local weather conditions. Tilt angles can often be optimised to make the most from the available space i.e careful placement to avoid solar panels shading each other. Considerations: Roof penetrations should be carefully waterproofed, consideration for wind and weight loadings are especially relevant to flat roof mounted PV systems. Building Integrated PV Modules: Can be used in anything from solar PV slates through to flexible thin film PV panels and modules integrated into roofing membranes. PV cells can be prefabricated into skylights and windows or custom built into balconies and solar walls. The small size of solar PV cells and innovations in manufacturing mean that pretty much anything is possible. Unfortunately the custom nature of these systems and the cost involved in non-standard PV manufacturing can often (but not always) make these systems more expensive. AC & DC Isolators: enable electrical separation from and within the PV system for safety when carrying out installations, upgrades and maintenance work. For safety, isolators should be installed anywhere where it may be beneficial to disconnect a part of the power system for a period of time. As a minimum an AC isolator should be provided between the main distribution board (or consumer unit) and the inverter(s) enabling easy disconnection of the whole PV system from the power supply. 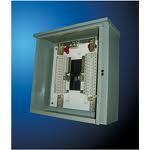 PV Junction Boxes / PV Combiner Boxes: are used to safely terminate multiple strings of PV panels on the DC side i.e. before connection to the inverter(s). 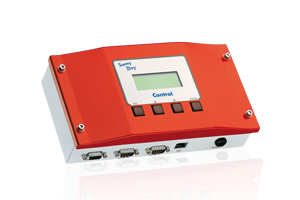 Not always neccessary for smaller systems, PV combiner boxes provide the useful functions of being able to safely isolate and fuse individual PV strings and to aggregate many smaller PV strings into fewer cables before connecting into the inverter(s). PV junction boxes or PV combiner boxes are a simple solution where different solar panel arrays need to be combined, where individual string performance is to be monitored or where the inverter has a limited number of inputs. 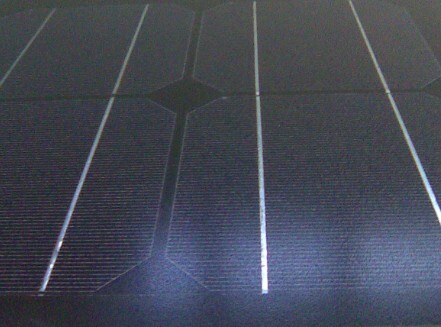 Solar PV Cables & Connectors: are used to connect the various components and are sized and selected to perform at their best based on; the current they will carry, the operating temperatures where they will be used and the environments where they will be installed (outside, in hot areas, underground etc). Consideration should be given to the types of connectors used, the IP ratings of the cables and the connectors; whilst ensuring cables are installed in secure, safe areas where they are unlikely to be damaged or interfered with. Solar PV Generation Meters: are available for both single and three phase power networks and are used to measure the amount of electricity that a solar PV system generates. 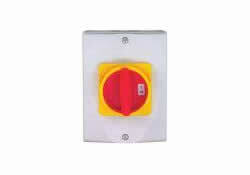 An OFGEM approved generation meter should be installed for systems to be eligable for the Feed in Tariff. Solar PV System Monitoring: can be carried out simply by most commercially available inverters, many of which can be supplied with network cards and modems and also intergated into PC and web applications. Output displays of all sizes for both private and public locations where the inverter isn't accessible can also be supplied and relatively simply connected. More advanced monitoring can be provided through the installation of a dedicated monitoring system. This equipment can be supplied with the ability to provide advanced monitoring including remote diagnostics (including individual solar panels and strings) and integration with network wide data logging packages for larger systems or for those managing multiple systems. The equipment below is required for Off Grid PV Systems and can also be added options for Grid Tied Systems that are designed to also store power locally. Off-Grid Solar PV Power Inverters: convert the DC power provided by storage batteries into AC power for use within the building using convential wiring. Particular attention needs to be paid when specifying an off-grid inverter to ensure continous and smooth operation, particularly in cases where they are likely to be supplying fluctuating loads. 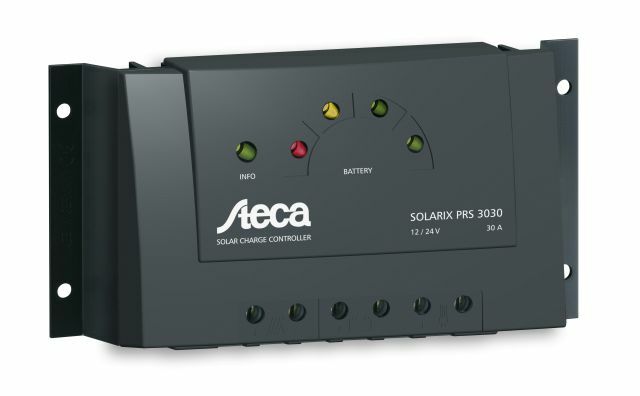 Solar PV Charge Controllers: protect batteries by blocking reverse current and preventing battery overcharge. More advanced Charge Controllers can also monitor battery temperature using sensors, optimising the voltage to compensate, protecting the batteries. A good charge controller selected for a good match for the batteries and the operating temperature is a wise investment for any battery based power system. 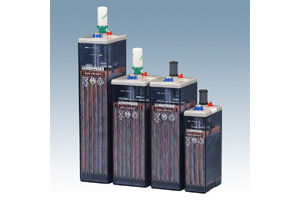 Solar Batteries: are used to store DC power generated by the Solar PV Panels. Using solar batteries ensures that power is available when the PV array isn't generating power. The size, type and amount of batteries in a system is determined by the number of ampere hours of (backup) power required and to be kept in reserve. The correct sizing of batteries is an essential factor in the performance of any Off-Grid PV system. It is the characteristics of the solar batteries which will determine the length of time you will be able to operate between charges. Battery capacity is measured in ampere Hours (Ah). A series of batteries is called a battery bank. Part 1 of BS7671 (Requirements for Electrical Installations) requires that every item must comply with the appropriate EN or HD (Harmoside Document) or National Standard implementing the HD in the UK. In selecting equipment care must be taken to ensure that the equipment complies with the appropriate British Standard. It is a requirement of the Electrical Equipment Safety Regulations (1994) (http://www.opsi.gov.uk/si/si1994/uksi_19943260_en_1.htm) that before electrical equipment is put on sale it is confirmed to comply with the safety requirements of the regulations. Compliance is confirmed by applying a CE mark. See: Guidance Notes on the UK Electrical Equipment (Safety) Regulations 1994 (DTI) for further detail. BSI Kitemark: BSI has tested the product and has confirmed that the product conforms to the relevant Bristish Standard. BEAB Approved Mark: Electrical safety mark for household and similar appliances. ENEC Mark: European third party certification mark for electrical equipment complying with the European safety standards, for luminaires, transformers, power supply units and switches. CEN/CENELEC Keymark: European third party certification mark for household and similar electrical appliances, complying with relevant European safety standards. MCS Approved: Solar PV equipment has been inspected and tested. Products are eligable for the solar PV Feed in Tariffs (FITs) and other incentives.